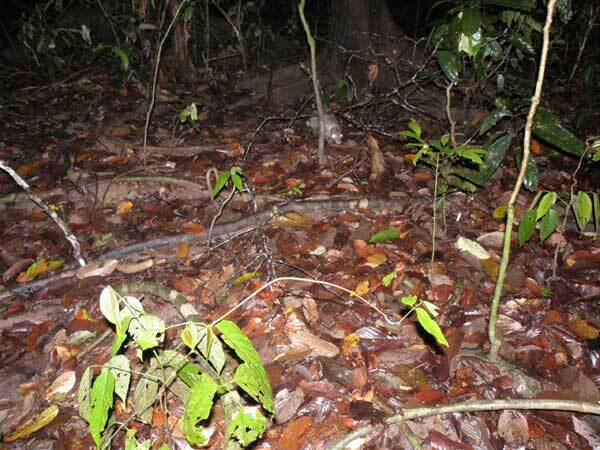 To reveal ecology of porcupines, I conducted a survey on three species of porcupines, Malayan porcupines (Hystrix brachyura), thick-spined porcupines (H. crassispinis), and long-tailed porcupines (Trichys fasciculate),using automaticcamera traps, and line census of the burrows from July to December 2011 at Tabin Wildlife Reserve, Sabah, Malaysia. In order to find burrows of porcupines, I walked a grit transect and searched burrows in 15 m width of transect. When a burrow larger than 20 cm (in minor axis) was found, I set up automatic camera traps in front of burrows that I found on the forest floor to identify animal using them. By this research, there are distributed more burrows in the matured forest than in the secondly forest. 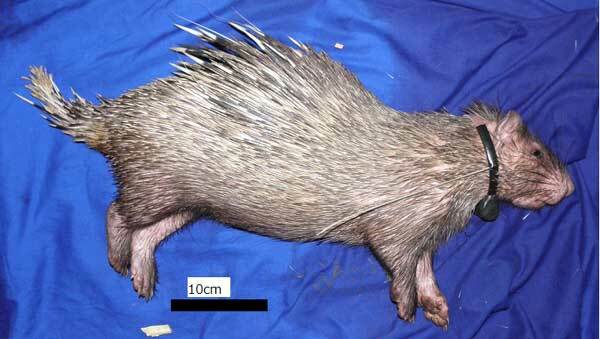 Although I also succeeded to capture a thick-spined porcupine with lifetrap and tagged it with a radio-traking device, radio-traking of this animal. Analysis of the field date will be completed within a few months.